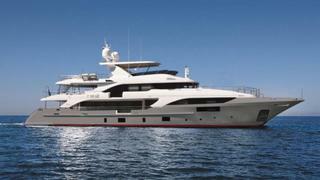 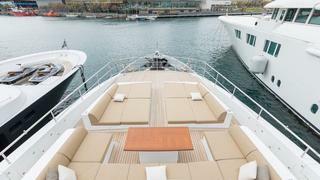 The Benetti build superyacht HEMABEJO is now currently for sale. 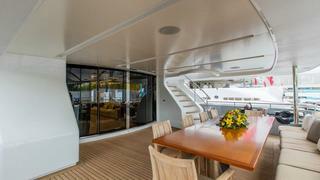 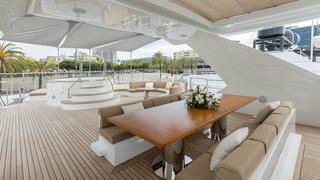 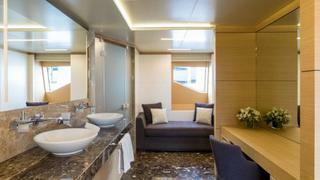 The spacious saloon sits in a beam of 8.18m. 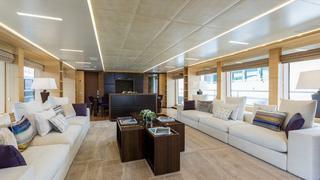 This means that the Francois Zuretti designed interior easily houses a 32'' LED Samsung TV. 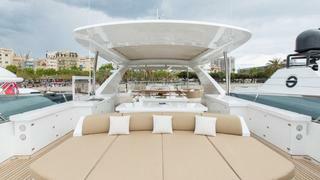 Coupled with that is a Denon 2312 receiver providing surround sound entertainment for all 10 guests. 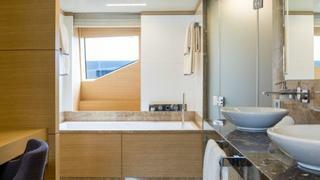 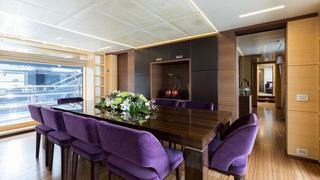 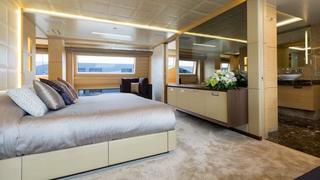 The fine wood detail continues throughout the vessel from the saloon, to the five luxurious cabins.